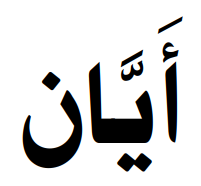 Ayan (1) written in Arabic. Ayan (2) written in Arabic. 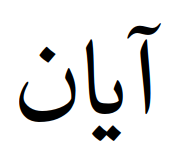 Ayan (عَيَّان, transliteration: `ayyaan) is an Arabic name that means “unable”, “incapable”1. This is an an indirect Quranic name from the AIN-Y-Y root. 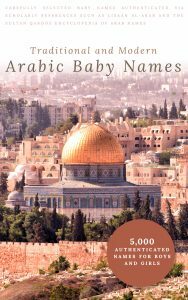 Arabic names with negative meanings are somewhat common, and they are not forbidden for Muslims. Ayan (3) written in Farsi. Ayan, if pronounced [(A)fter] + [(YA)r(N)], is a Persian name that means “long night”2. This is a good meaning, therefore it is acceptable for Muslims to use this name. The Sultaan Qaboos Encyclopedia of Arab Names, entry for عَيّان. Mu`jam al-Lughah al-Arabiyyah al-Mu`aasirah by Ahmad Mukhtar Umar (d. 2003 CE), entry for عيي. 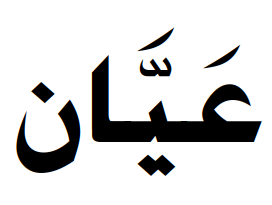 Dehkhoda Dictionary, entry for آيان. 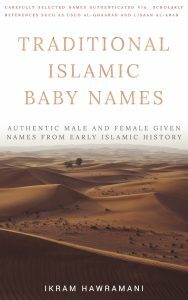 Either you could take the name Ayyan starting with hamzah which would mean time, era, etc, or you can take the name ‘ayyaan starting with an ‘ain and that would mean one who has wide eyes, or one who is perceptive in studying and analyzing things. Hope this helps! what is the refrence of name of bowl of prophet was ayan? 9 Para Surat Alaaraf Ruku (Para) No 12 Ayyat No: 186-187 ma Ayyan Wazia tor par Parha ja Sakta hai. 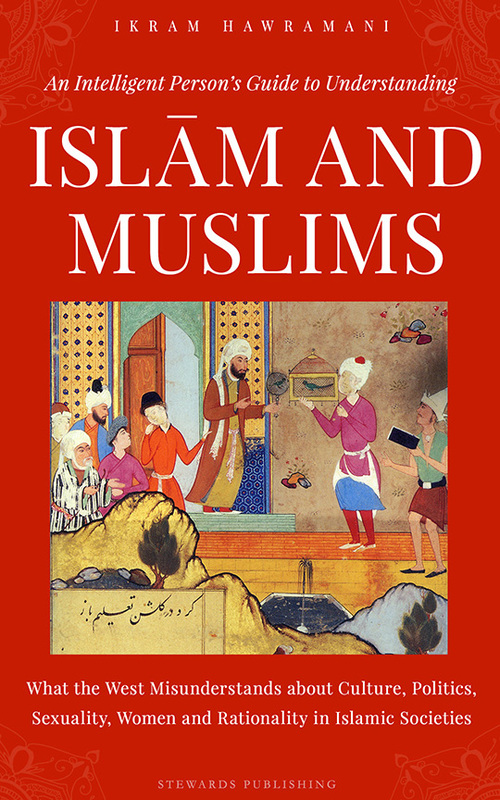 Assallam walaikum …. My name is Asim khan . 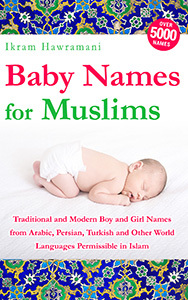 im from India ( Bangalore) Allah has gifted me a boy baby in the last month, so we googled some name which start from Alpha A”, myself & my wife Rukhaiya decided to keep the name of our son as Ayaan..
but many of my friends and hazrath says this name is meaningless.. Ayaan means when , in urdu Kab .. Please suggest me on this. im very confused. In Somali language it means Lucky, my name is Ayan !!! I saw ‘Ayaan’ means the gift of Allah. Is it correct? Is there reference of d name Aabiyah in the Quran? Arin/orin is Arabic name or no ???? What is meaning of Arin ??? i have a good purpose of my name because it is called ayan i am good in learning and focusing at things. What is the correct name meaning of Ayaan? What is ayyan namemeaning is right plz inform me?? ?